Adding to the slew of budget KitKat phones within the Indian market, Karbonn has launched the titanium S99 smartphone for a basement cut price of Rs 5,990. That price tag makes the titanium S9, a full Rs 1,000 cheaper than the reigning budget champ the Moto E and ideally, you should be getting swish performance due to the KitKat OS. The S99 is powered by a 1.3 GHz quad-core CPU, that is probably going created by MediaTek, and has 512MB of RAM, 0.5 the amount found on the Moto E. However, it must be noted KitKat has been optimised for just such low-powered devices. There’s a 4-inch display with some resolution, again par for the course during this price vary. The titanium S99 has a 5MP rear camera, and a ‘Digital’ front camera. There’s no flash for the rear camera, however 3G connectivity suggests that you ought to be ready to build video calls using the front. With internal storage of 4GB, the S99 includes a microSD card slot further (up to 32GB). 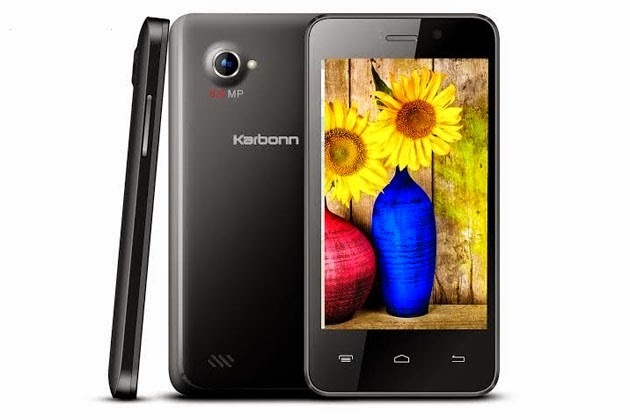 Finally, there’s a measly-sounding 1400 mAh battery, however no rated hours are listed by Karbonn. Overall, the S99 sounds abundantly sort of a me-too phone, instead of one thing we would do a second take for. Samsung presents GALAXY Tab S.